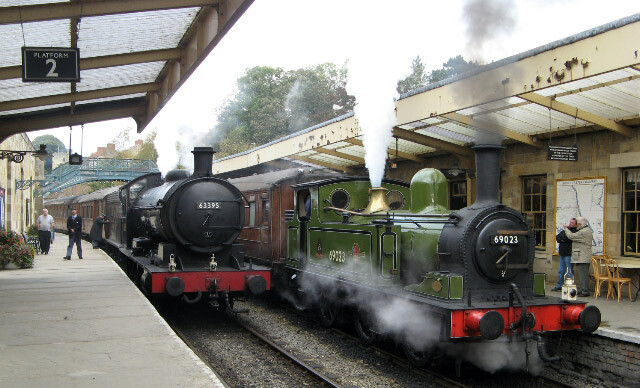 The J72 returned from the GCR to the NYMR on Wednesday 20th October and returned to Grosmont on the back of the 14:30 train from Pickering on Friday 22nd. On Saturday 23rd it hauled the 12:30 NELPG members special dining train, double headed with the Q6. However, despite the show of photographic bling adorning the members' shoulders, the only photograph of the day was supplied by a member of the footplate crew. 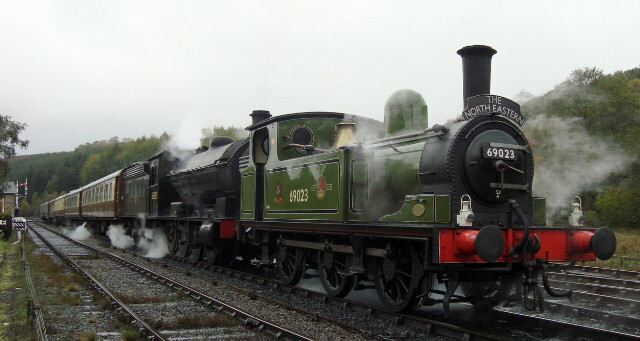 The J72 was washed out on Thursday 28th and will undergo some routine maintenance work during November before re-entering traffic to haul Santa Specials in December.